B-Grade Decking: Is It Any Good? Everyone wants a deck. No, not just a deck; the best-looking deck around. 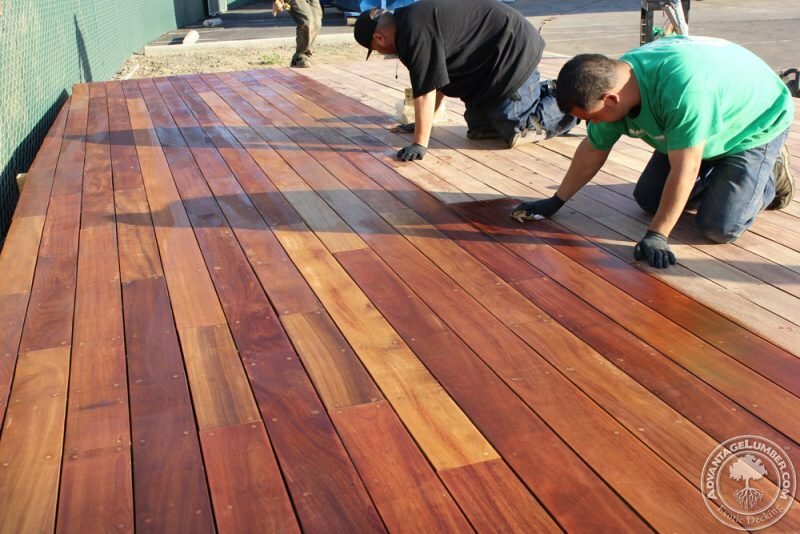 The common misconception is that you must spend a fortune for an exotic hardwood deck of your dreams. The reality is you can have exotic hardwoods at an affordable price. The only catch: a little more elbow grease upon install. B-grade has some negative connotations attached to it, but with exotic hardwoods the criteria are different. 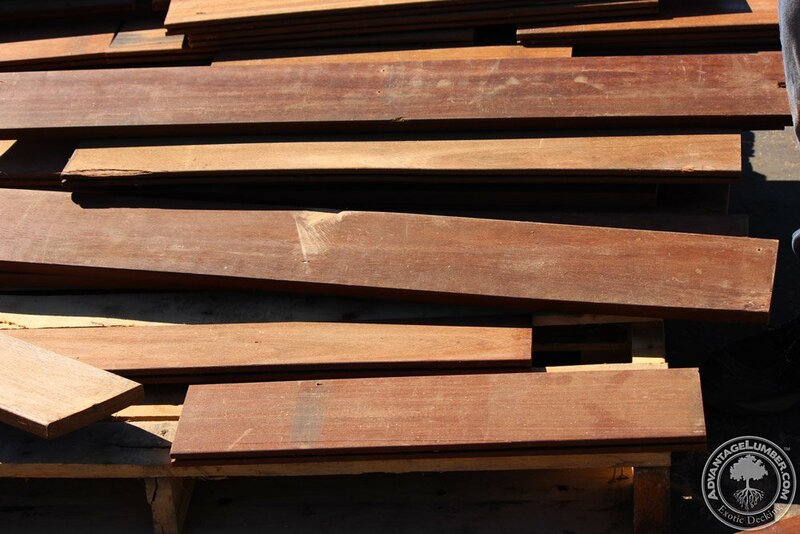 Our b-grade material comes from the same batches as our premium hardwood; it just has a few knots, pin holes, character marks, mill defect, or movement. Some material may be bowed or cupped, but since it’s wood it can always be worked into a great project. The nightmare of cracked and knotty wood is far from the reality. I’m not just here telling you what b-grade can do; I’ve seen it for myself firsthand. Outside our California location, we built a beautiful 400 square foot deck from b-grade wood. We face-screwed every 12 inches, did lots of sanding, bending with a hardwood wrench, and hiding the screws with plugs, but the end result is a beautiful deck that no one would ever think or believe came from b-grade material. 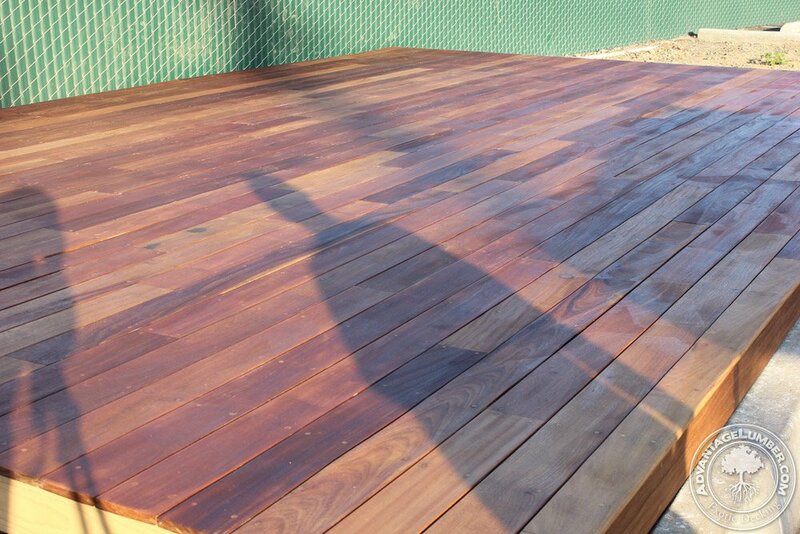 The finished product is an amazing looking deck. The best part about b-grade is its affordability and character. You can get the beauty of exotic hardwoods at a fraction of the cost. With our discounted b-grade bundles you get that special character only natural wood has. After all, wood’s appeal isn’t about making each board look identical; it’s in the odd grain pattern encircling a small knot and the beautiful intertwining of light and dark in the same board. Save money and still have the deck of your dreams. This entry was posted in Deck Design, Decking, Do-It-Yourself and tagged affordable exotic decking, b grade decking, decking b grade, decking exotic on March 22, 2016 by Mr. Ipe Hardwood. I saw you article on B grade decking. What do tou have available? We our B-Grade bundles are available here: http://www.advantagelumber.com/specials.htm Under the drop down menu “Overrun Hardwood Decking Specials.” If you’d like, give us a call at 1-877-239-3915 and let us help you find something you’re looking for. Thank you for your inquiry David! My wife and I are wanting to remodel the deck that is on our home. It is a B-Grade deck that is beat up, but it has potential. It’s comforting to know that the negative connotations can be avoided if a certain exotic wood is added. I’ll have to look into this more and see about getting beautiful wood like this installed.